Veličina ovog prikaza: 800 × 600 piksela. Ostale razlučivosti: 320 × 240 piksela | 640 × 480 piksela | 1.024 × 768 piksela | 1.280 × 960 piksela | 2.592 × 1.944 piksela. 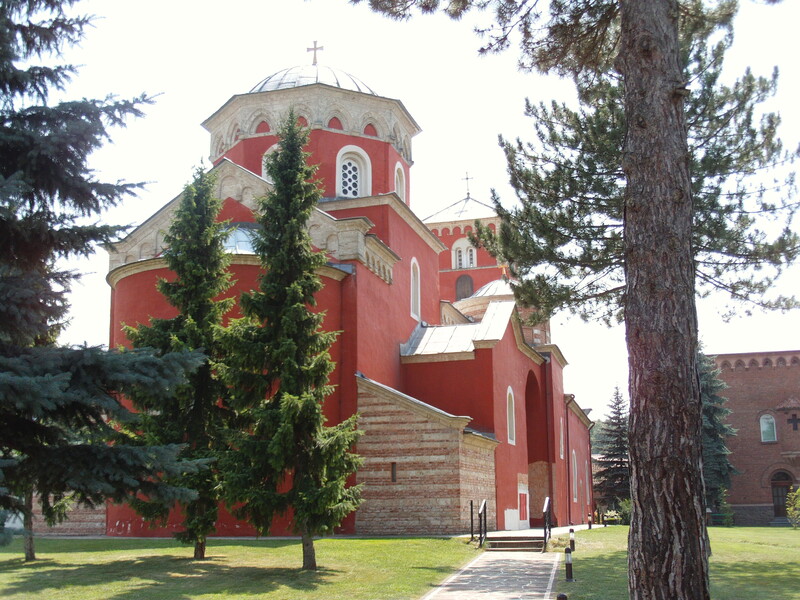 English: Žiča Monastery, overview. Near Kraljevo, Serbia. Please credit this with : "White Writer, Wikipedia" in the immediate vicinity of the image. An email to WhiteWriter would be appreciated too. If you would like special permission to use, license, or purchase the image please contact me WhiteWriter to negotiate terms.